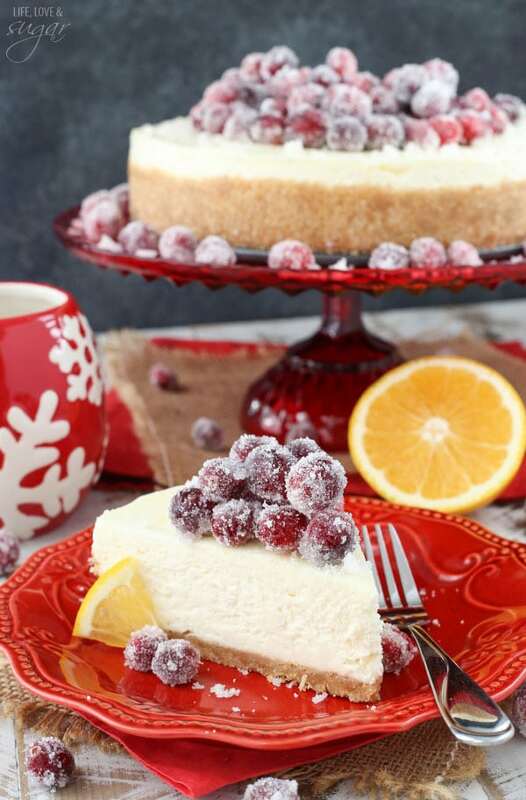 This No Bake Sparkling Cranberry Orange Cheesecake is the perfect holiday dessert. 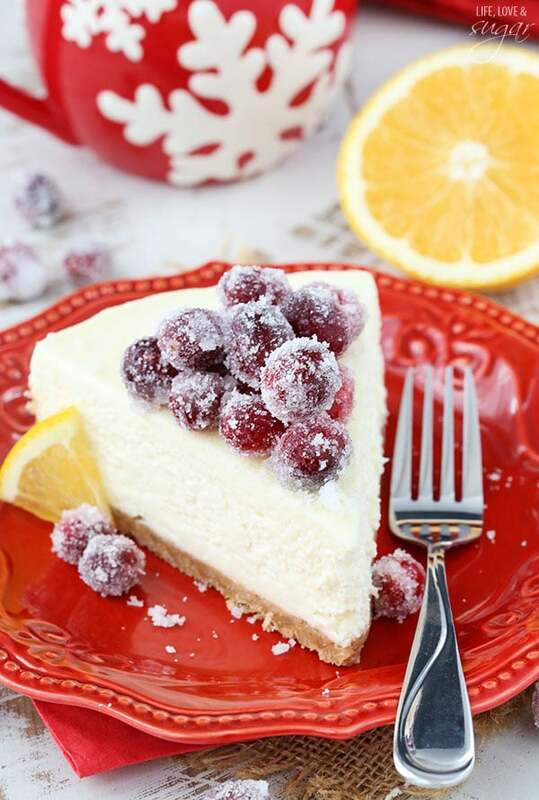 Cranberry and orange really do make the perfect flavor combination. 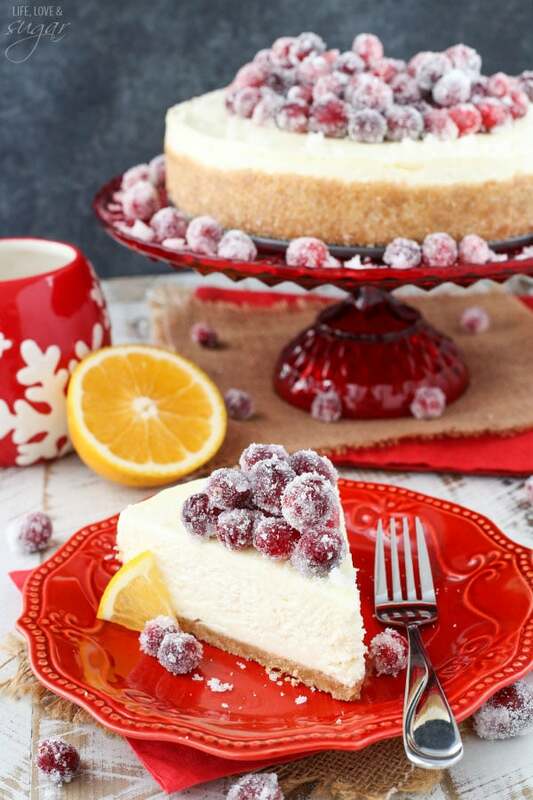 The smooth, creamy orange cheesecake with the sweet but tart cranberries is to die for. If you’ve never tried these two flavors before, it’s a must! Can you believe Thanksgiving is Thursday?! I can’t even. My head is so not in that mode yet. 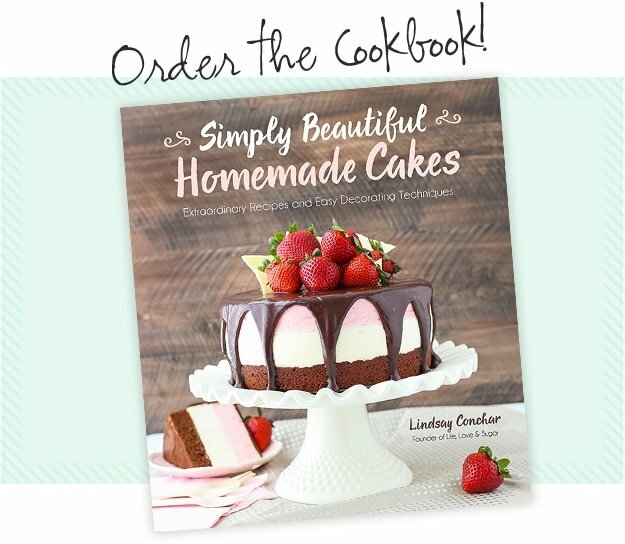 Between all the baking for the cookbook and for the blog, I have cake on the brain. I was at the grocery store over the weekend getting baking ingredients (as I do most days) when I realized while walking through the meat department that there were turkeys in the section that normally has the ground beef. Thursday! Thanksgiving is Thursday! And I need a turkey – like now. It has to thaw for several days and I need to make sure I’m not showing up Wednesday night to the store when there are no turkeys left. So next to my sugar and flour, I tossed a big, frozen turkey into the cart. I kind of wanted to just get all the things I’d need for Thanksgiving, but had no idea if I’d miss something, so that’s tonight’s activity. I did go ahead and buy a couple cans of sweet potatoes. I KNOW I’ll need those babies. I pretty much need an entire sweet potato casserole to myself and I’d die if the grocery store ran out of those before I could get some. Like, die. Like Thanksgiving would be over. And we’ll surely have plenty of cake. If you are as behind as I am, I’m here to save the day! If you need a last minute dessert, look no further. This cheesecake is no bake and you are welcome. It can also be made a couple days ahead. You are welcome again. In fact, you could totally make it today or tomorrow and it’d be great for Thursday. It’s also super easy to put together. You’ve got your standard crust to start. 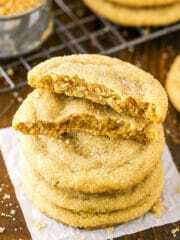 I actually use vanilla wafers because I love their added sweetness, but you could go with graham crackers if you have those on hand. 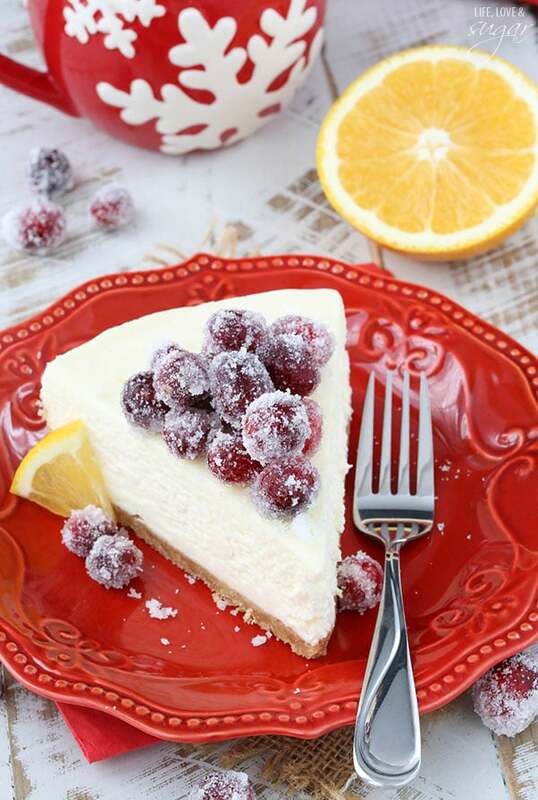 The cheesecake is flavored with orange zest and fresh orange juice. While it might seem kind of like you’re going to end up eating orange juice, it’s totally not true! It’s SO SO good! The next step (which I’d actually do first) is the sparkling sugar-covered cranberries. 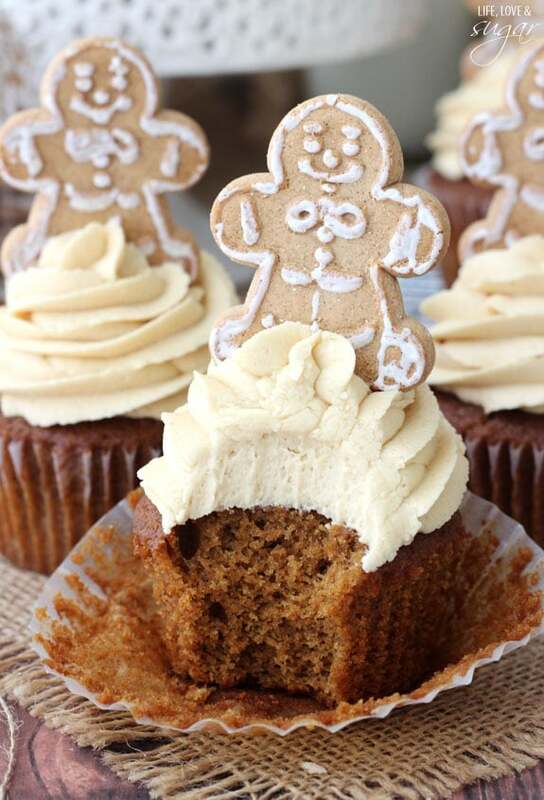 These can totally be made ahead. In fact, you’ll want to make them ahead. They soak in simple syrup (a sugar and water mixture) overnight before being covered in sugar. Once covered in sugar, they dry and can stay fresh in the fridge for several days. Once your cheesecake is ready to go, just pile those beauties on top and you’ve got a party. So now you’re officially ready for Thanksgiving, right? I sure hope so, because it’s coming fast! 1. To make the cranberries, bring 1 cup sugar and water to a simmer in a saucepan. Simmer until sugar is completely dissolved. 4. Refrigerate cranberries in syrup overnight, stirring a couple times to coat with syrup. 5. While cranberries soak, make the crust. 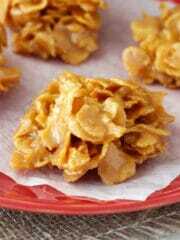 Combine vanilla wafer crumbs with sugar. Add melted butter and stir to coat. 6. Grease the bottom and sides of a 9 inch springform pan. Press crumbs into the bottom and halfway up the sides of the pan. Set in refrigerator to firm. 7. Mix cream cheese, sugar, flour, orange juice and orange zest together in a large bowl until smooth and well combined. 8. Gently stir in 8 oz of Cool Whip. 9. Spread filling evenly into the crust and smooth the top. 10. Refrigerate for about 4-6 hours or until firm. 11. Remove cranberries from syrup and roll in remaining cup of sugar. You’ll need to roll them a few times to get a couple layers of sugar on them. Set cranberries aside to dry for about 30 minutes to an hour. 12. 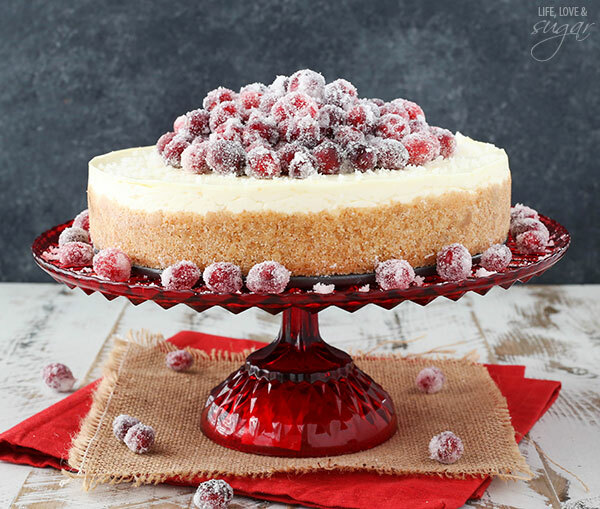 Remove cheesecake from springform pan and top with sugared cranberries. Refrigerate until ready to serve. *If using homemade whipped cream, I use 1 1/4 cups heavy whipping cream and 3/4 cup powdered sugar to replace the Cool Whip. It’s no wonder that you have way too much going on, writing the book and being fabulous! This cake is yet another breathtaking one. 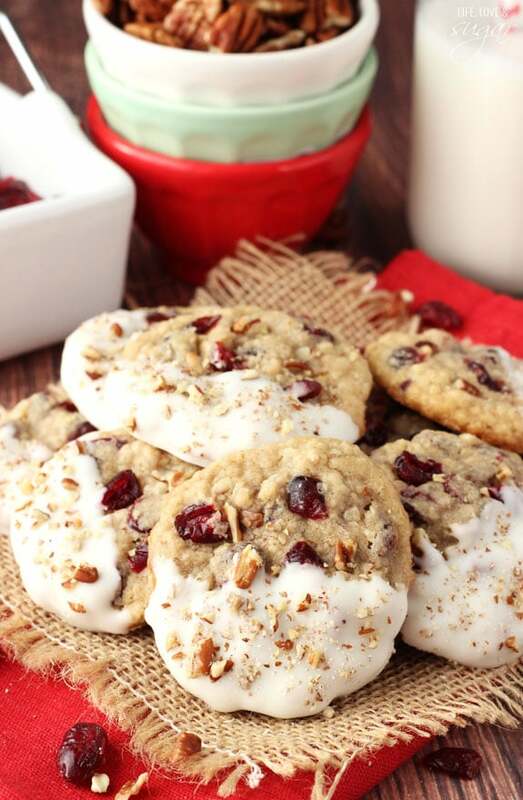 Those frosted cranberries are so gorgeous! 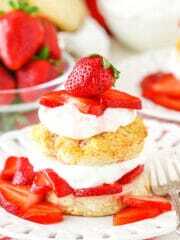 That looks marvelous! I love cranberry and orange together. This cheesecake is GORGEOUS! I’d love to have this sitting on my Thanksgiving dessert table. 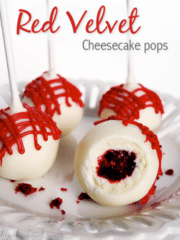 It’s even better that it is no bake!! Gosh, this cheesecake is so pretty! 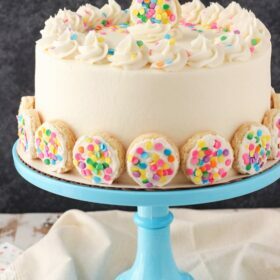 And I’m really loving that cake stand too! 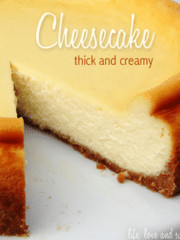 I can’t believe this is a no-bake cheesecake, it looks just like it was baked in the oven. 🙂 Love the cranberries! Hope you have a wonderful Thanksgiving! 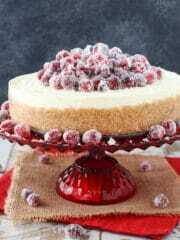 Loving this beautiful cheesecake, particularly those sugared cranberries, they are so beautiful. Pinned! I love the cranberry orange combination this time of year! 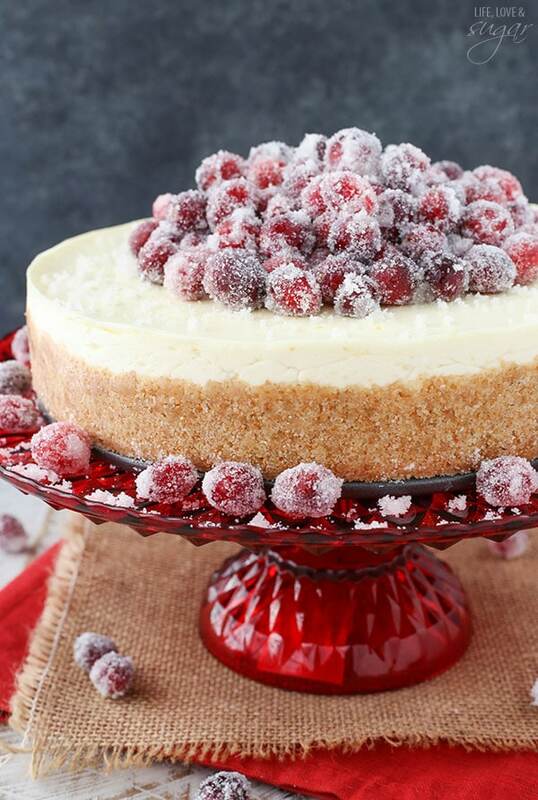 This is one gorgeous cheesecake! Lindsay, cranberry and orange has always been one of my favorite combinations, so this sounds wonderful to me. And it is soooo pretty! Gorgeous photos. Hi there! 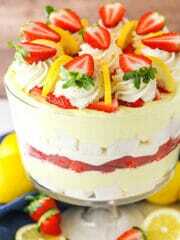 Lovely decorated cake, definitely going to try the sugar-coated fruit. 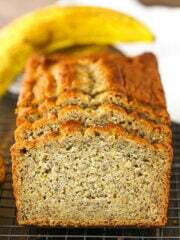 Just one query – the cake flour in the mixture is not baked and therefor ‘raw’ – is it OK to eat it like this and can it maybe be omitted or replaced with something else? (I take it that it helps the cake to set). I don’t have an issue with it, but if you do you could toast the flour in the oven first or leave it out. You saved the day! Last weekend was our Canadian Thanksgiving and my oven was not acting normally and I was having my family for dinner. 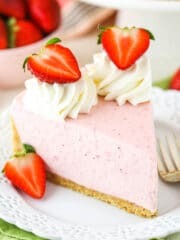 So I decided to browse the internet to find a beautiful no-bake desert for my guests. 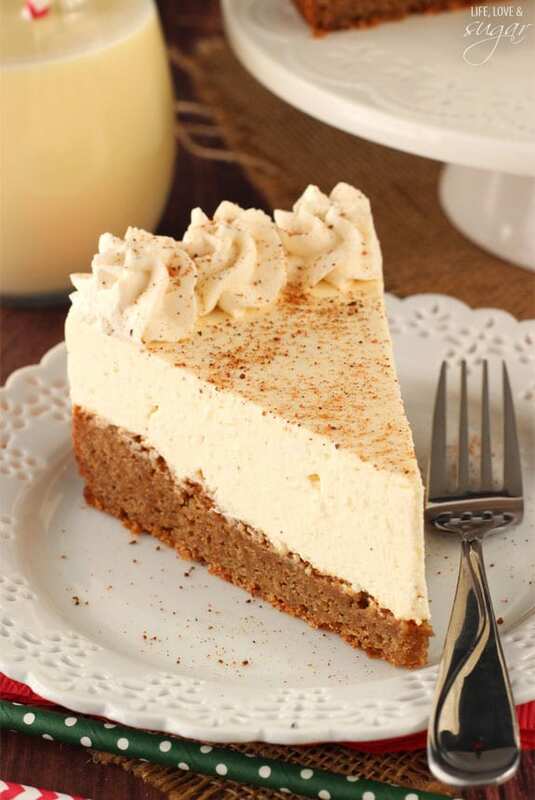 I found your Sparkling Orange Cheesecake!!!!! I must say it was easy to do and it gave me the result I wanted. 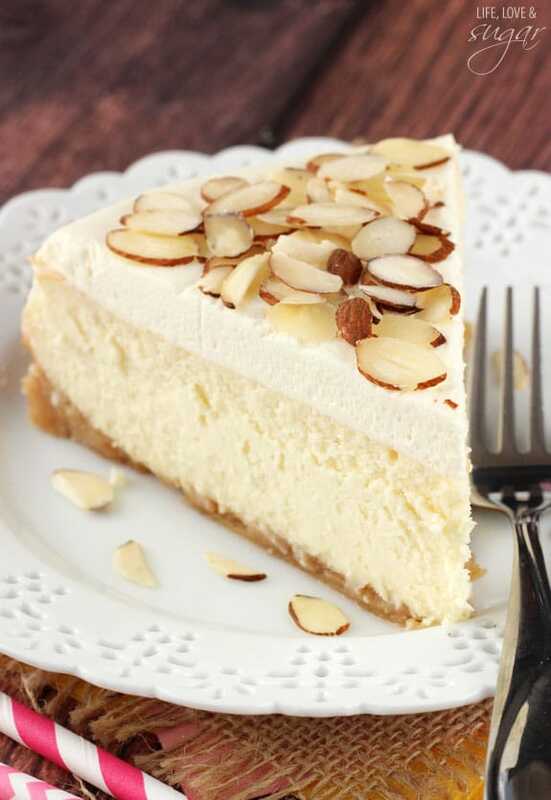 All my guest had comments like: “WOW this is the best cheesecake I ever had”, “So light and creamy”, “Can I have the recipe” and it went on and on. I did the recipe with real whip cream. What a success, thank you Lindsay. I added my touch to the decoration by adding sugar coated mint leaves and candied orange peel to the decoration. I wish I could send you a picture of the finished product but I am not sure how to proceed. Let me know how to do and I would be glad to send them to you. 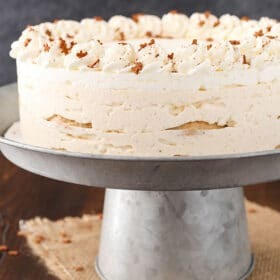 I have a question, could I use a cookie cutter and make these into small bite size cakes with the cranberries in top of each of them? I suppose you could, but that seems complicated. I might just build them into little cupcake tins with cupcake liners. 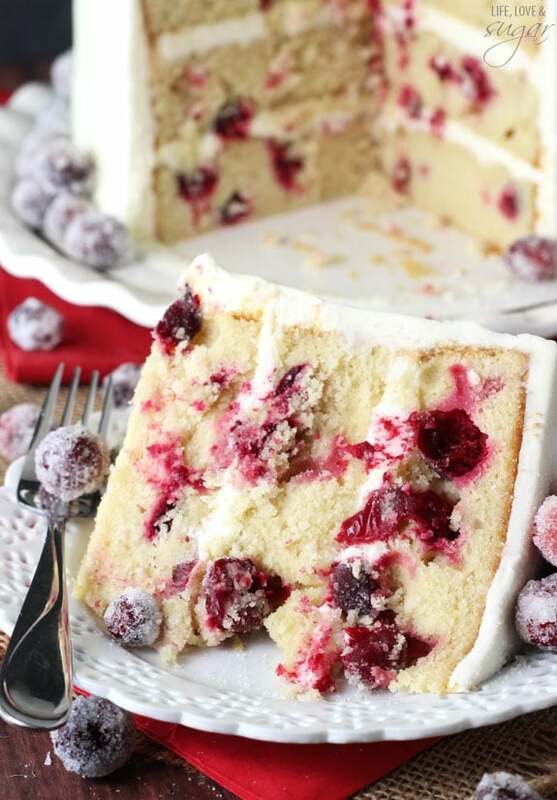 The cake looks delicious and the cranberries beautiful, but are the cranberries tasty? What is their texture? Yes, I would recommend refrigerating the cheesecake until ready to serve. Cheesecake is best for 3-4 days. Suggestion. Please include a PRINT option. Or maybe I’m missing it. 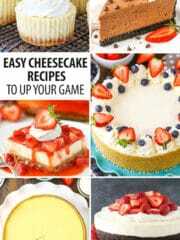 I love your recipes and it would make it so much easier. You’re in luck, there is a print option! There is a red button labeled “print” in the pink recipe card. Just hit that button and it brings up the printable version of the recipe. In case that doesn’t work, here is the print version of this recipe.